“Scrubby Dubby Saga” is an adventure puzzle game by King, the makers of “Candy Crush Saga.” In this game you slide and match soap boxes as you follow a trail of mysterious foam in Soapland. The game was played on Android 5.0.2 Lollipop but its also available on iOS. 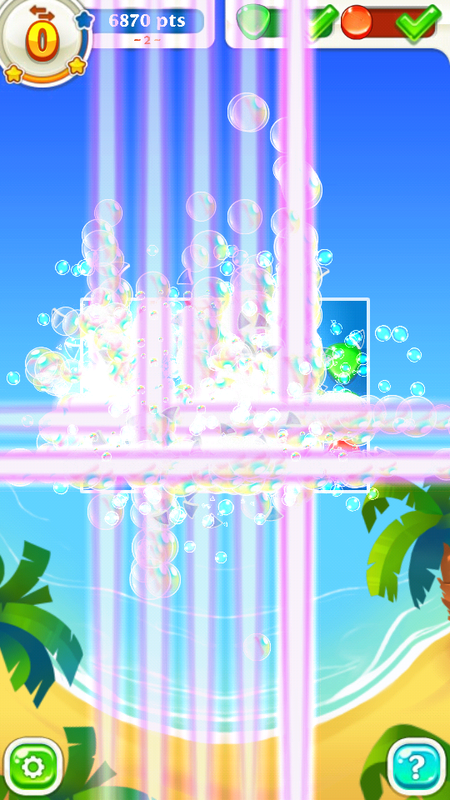 “Scrubby Dubby Saga” uses flashy graphics and cute animations to good effect. There are a lot of animal characters, including pandas, playful sharks, starfishes, and a seaside-resort theme to the graphics. This makes for a playful feel which is enhanced by the music. The music itself is upbeat and brisk, but it is professionally done. It builds up in multiple layers with a full orchestra, and resembles a brisk march in a great symphony. In the middle of gameplay, some of the horns and percussion crashes add an epic feel to the game. The music adds tension to the saga and makes you wonder what comes up next, what mystery will the soap boxes reveal in this or the next level. 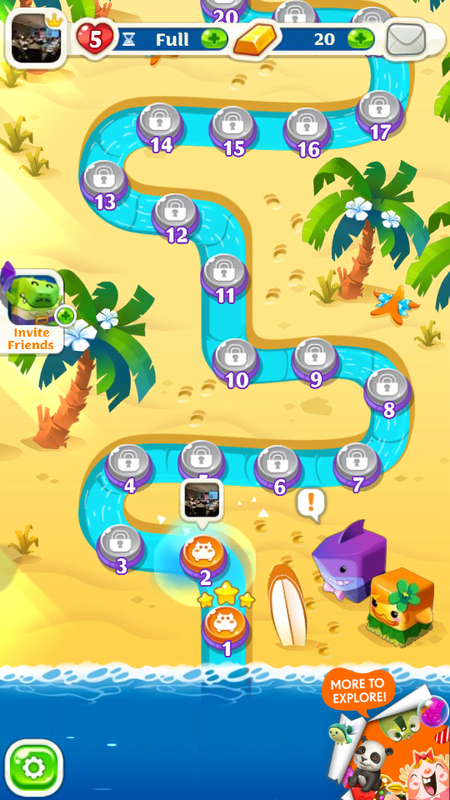 There are 20 levels with a board to solve in each level. To solve a level, you have to tap on blocks and line up soap blocks of the same color in groups of three or more. The first levels have up to 10 or so matches to complete. You have to complete a level to proceed to the next. 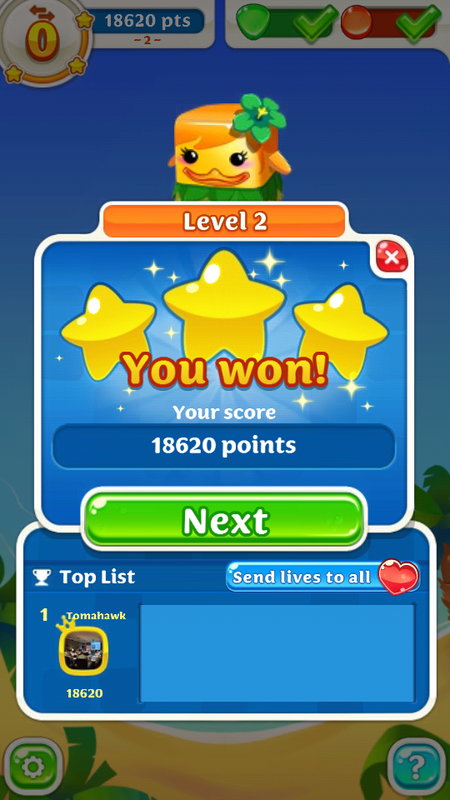 The levels get more challenging as you go, with more matches to complete, and harder. The game gets more exciting as you proceed, however, with more powerful power bottles and challenges. “Scrubby Dubby Saga” starts off dead simple. You just have to match the same-colored soap blocks, but it gets more difficult as you advance. The characters’ story comes alive in between the game-play by way of animations and feedback. “Scrubby Dubby Saga” is an engaging and light-hearted game for when you want to solve a simple puzzle. It has a great story element which only adds to the fun, and the fun graphics will have you in a pleasant mood for the rest of the day.